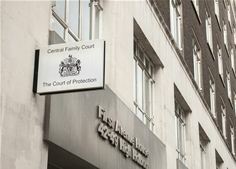 With the aim of modernising court services, the London Borough of Southwark has successfully introduced paper-free Digital Courtroom (www.digitalcourtrooms.co.uk) technology to the London Family Court. The process, conducted in partnership with South London Legal Partnership, has gone from pilot to ‘go live’ in just over 6 weeks with the first cases already heard. The Digital Courtroom Solution is a complete software and service package, which provides all the necessary tools required to digitize the UK court system. By eliminating paper-based practices the Digital Courtrooms solution enables court processes to be streamlined, significantly reducing costs, removing the stress of missing files and greatly boosting efficiency. The solution combines services from three leading legal technology organisations: ProjectFusion with its secure Data Room system, Zylpha’s with its widely acclaimed e-bundling technology and technical support from South London Legal Partnership. Project Fusion’s Data Room provides a simple to use virtual interface, which delivers a secure digital space protected by the latest security technology. Zylpha’s widely acclaimed digital e-Bundling software eliminates the strain of creating and maintaining paper court bundles and removes the risk of lost documents. The digital bundles can be updated, repaginated and distributed safely in a matter of minutes – a process that previously took many hours to complete. The final element is a high quality support programme, supplied through South London Legal Partnership, the shared legal services operation for Kingston, Merton, Sutton and Richmond councils. Commenting on the news Phillip Barker, Deputy Business Manager (Legal Services) Finance & Governance said “In a little over a month Southwark and the Central London Family Court, under the direction of SLLP, have moved into the digital age. Trial bundles are now securely delivered using Data Rooms rather than outdated and unreliable couriers or the DX paper system.